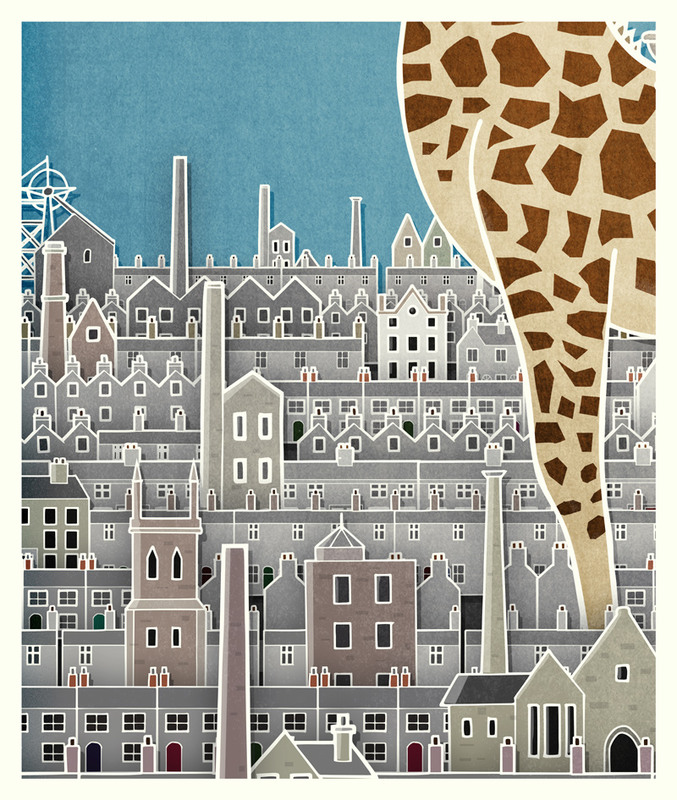 A re-imagined railway poster advertising an industrial town in England at the turn of the 20th century. 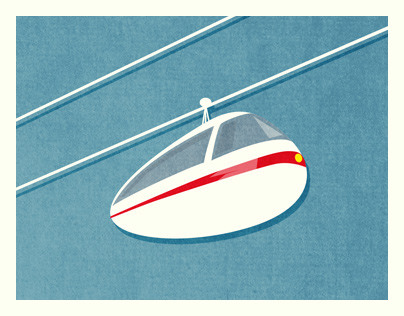 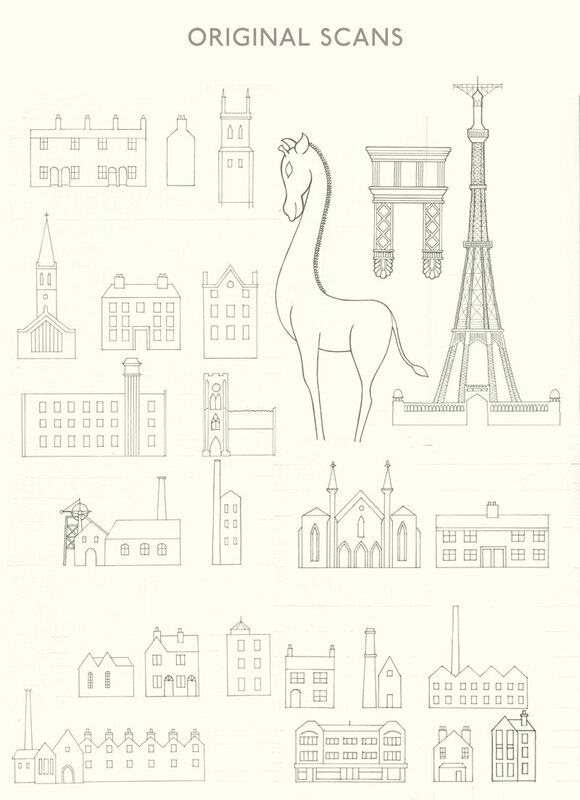 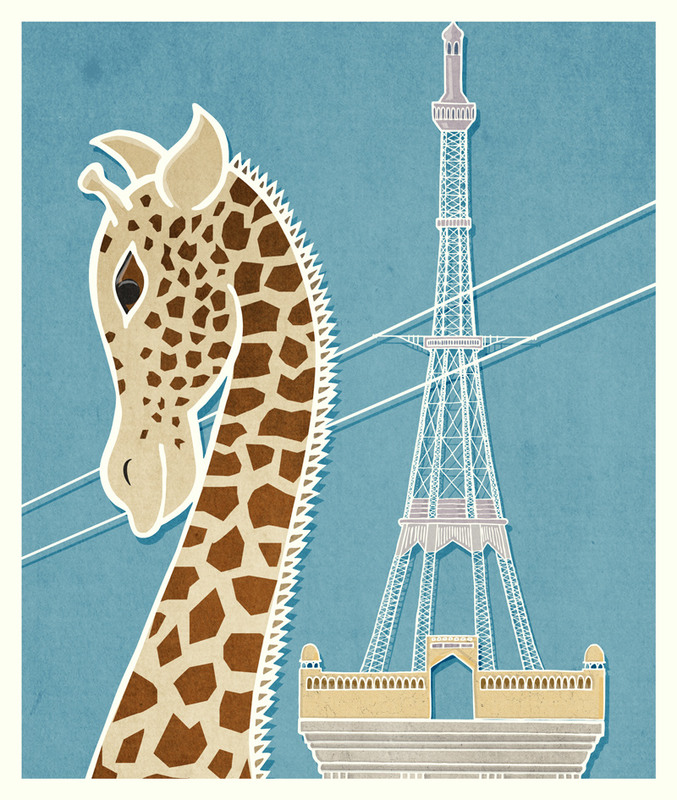 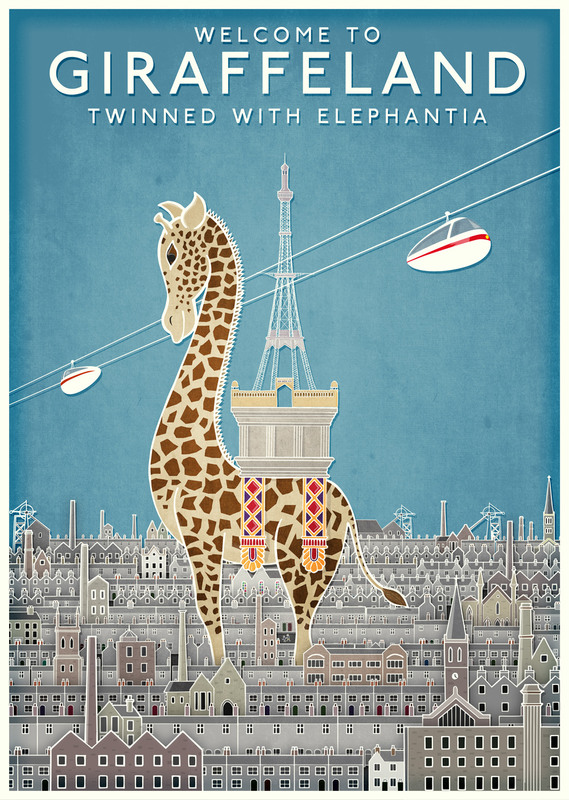 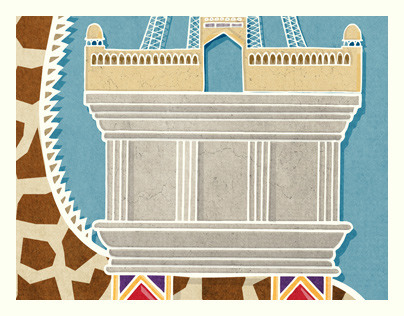 The future is represented by the monumental giraffe and the Butlins inpsired Cable car system. 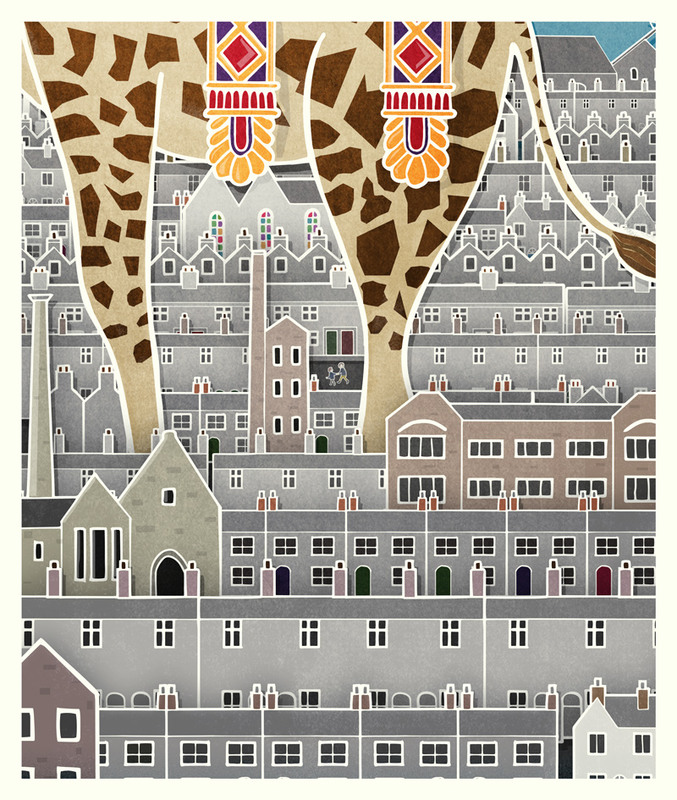 The unbuilt Watkin's Tower that was designed to stand in Wembley Park stands on the giraffe's back. 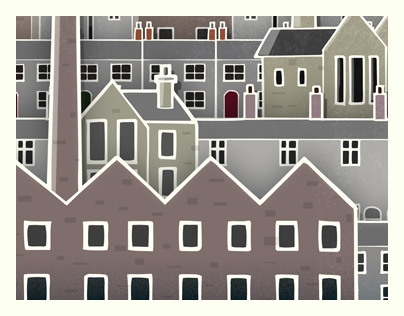 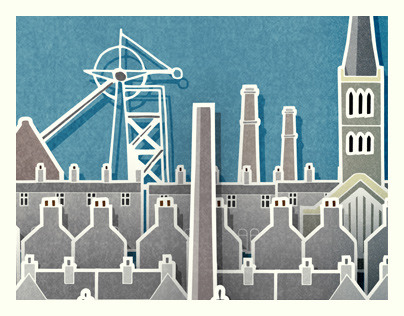 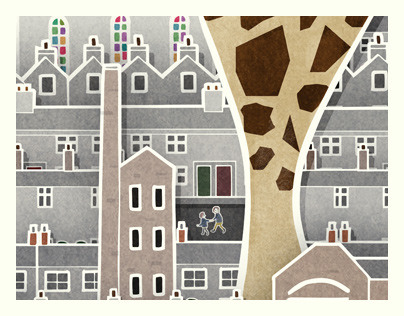 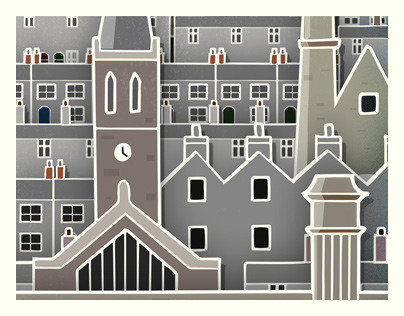 A tribute to the unfulfilled ideals of Victorian Britain and inspired by the landscapes of JS Lowry.